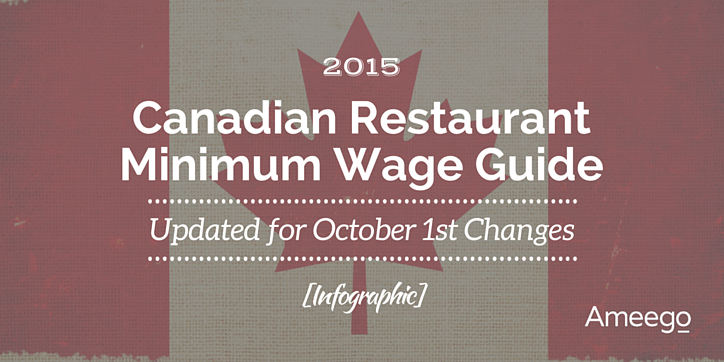 The following infographic provides further details about the upcoming minimum wage changes affecting a number of Canadian provinces - effective October 1st. Although restaurants from each province subject to the new rates will surely feel a pinch, Alberta is the hardest hit with a 9.8 % increase to minimum wage. To make matters worse, the liquor server wage is increasing by nearly 17% ($1.50/hour). Alberta restaurant operators will have to make some signifcant changes to ensure profitability is maintained. As minimum wage continues to climb across provinces, Canadian restaurant operators will have to look at different ways to ensure profits remain unchanged. Unfortunately the most likely option will come in the form of menu price increases (offsetting the cost to the customer). Don’t want to increase menu prices? Looking for other options to maintain profitability? The team at Ameego can help! By performing a thorough analysis of your numbers we’ll be able to provide valuable insight on the true cost of the wage increase to your restaurant. Based on the results, our team of restaurant professionals will be able to provide alternate solutions that look outside menu increases as a way of maintaining profits.